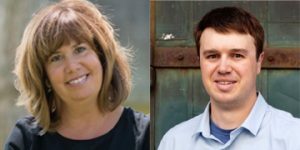 Michele Zumbusch Krolczyk (Orono High School Class of 1983) and Brian Knight (OHS Class of 2007) have been named this year’s recipients of the Distinguished Alumni Award and Promising Alumni Award respectively. 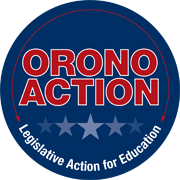 The awards are sponsored by the Orono Alumni Association and Orono Foundation for Education in cooperation with Orono High School and Orono Schools. Krolczyk was recognized not only for her career successes but also for her commitment to the community. She was vice president of marketing for 20-plus years as a third generation owner of her family’s roofing company in Long Lake. 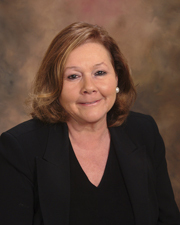 During her tenure, she rebranded the firm from Dalbec to MINT Roofing. In 2017, she started Vivid360, a consulting firm that focuses her passion for mentoring business management teams through the “traction” method of practice. In between these ventures, she dedicated herself to the community as one of the founders of Harvest Moon Natural foods and served as its president from concept to store open. In addition, she has been involved in the Rotary Club of Orono for five years, most recently serving as its president during 2017-18. “My favorite quote is from Eleanor Roosevelt,” Krolczyk said. “She said, ‘Do one thing every day that scares you.’ And I feel like much of what I have done with my career and community has met that challenge. “My education through Orono Schools helped prepare me to take on many risks and think outside the box,” added Krolczyk. She and husband, Kevin, raised three boys – Anthony, Casey and David – all of whom graduated from Orono High School. Brian Knight is this year’s Promising Alumni, which recognizes more recent graduates from OHS who show promise in their personal and professional lives. Knight was honored for his entrepreneurial spirit. After four years of collegiate baseball at Augustana College, he moved to Los Angeles to work as a film intern in Hollywood. He left California to follow the oil rush in North Dakota, where he worked in marketing for the automobile company Ram. Knight then completed a master’s degree in film studies at Florida State University before moving back to Minneapolis. He has melded his previous experiences to launch Bullseye Media, a unique digital marketing and advertising company that has an impressive list of clients including Country Hearth Breads, Xcel Energy and Amazon. Outside of his business ventures, Knight mentors adults through a program called CIP and has committed to hiring Orono students as interns and employees. “Brian really impressed the nominating committee with how humble and grateful he was for all the people who have helped him along the way,” says Steve Albers, foundation board member. The pair will be honored at the All-Class Reunion Breakfast. It will be held at 8 a.m. Saturday, October 6, at the Woodhill Country Club Barn. The event is free, but donations to the Orono Alumni Association will be accepted to support the breakfast, scholarships and other alumni activities. Please RSVP by Monday, October 1, here.